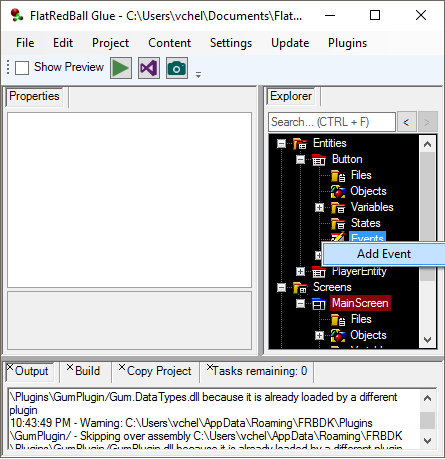 Glue supports the addition of events to screens and entities. 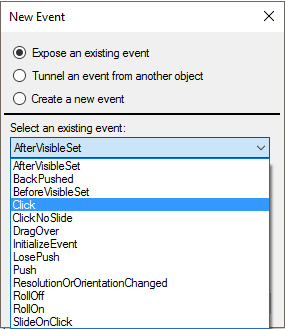 Events allow code to respond to game actions, such as the clicking of a button or the removal of an object from a list. The events available to a screen, entity, or object depend on the respective container’s properties. 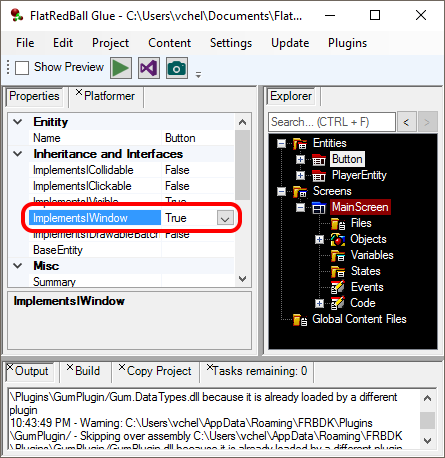 For example, if an entity implements IWindow (for more information, see the Implements IWindow page), the entity will have additional events available.